A caffeine free, revolutionary supplement that assists in reversing the signs of aging, boosts energy, maintains weight and aides cellular repair. Elevate ATP & DNA Repair™ works by giving cells all of the “activators” that are needed to encourage the formation of additional energy (ATP). When you increase your ATP levels, you enhance your energy, metabolism, focus and every cell function in your body. One of the most tremendous benefits from using this supplement is its ability to take fat from your cells to stimulate ATP production improving overall health. Remarkable technology that imprints frequencies (as standing waves) onto water molecules. Advances in the ability to “stack” thousands of frequencies onto one molecule. Revolutionary formula allows us to reverse engineer the frequencies of substances found in nature and/or the human body. Newly identified frequencies that have beneficial effects on the body. Restore corrects inflammation and damage in every organ and cell in the body. 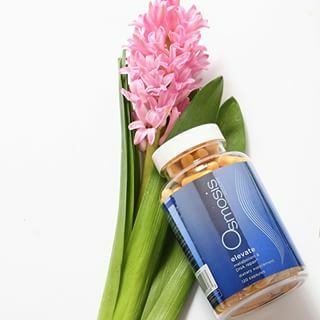 It strengthens the immune system and heals protein oxidation resulting in a reduced rate of aging, while promoting a return to complete wellness. Restore is a revolutionary new nutraceutical that combines modern technology and an ancient Chinese medicinal herb. A well-researched, specialized extract of Sweet Wormwood achieved FDA approval in Kenya for its remarkable ability to increase the health and strength of your immune system. When your immune system is strong, it is capable of correcting virtually every disease and imbalance the body may face. Restore removes toxins, reduces inflammation and repairs protein damage, thus providing the tools the body needs to heal itself. Sweet Wormwood Extract has been proven in clinical trials to improve and strengthen the body and skin for overall wellness. It will assist in treating and preventing disease thus enabling a healthy life. Should you be experiencing any of the following conditions, Dr. Johnson recommends Restore be used at least twice daily.